I grew up with expensive airfare and two choices for in-flight food…chicken or fish. You’d think that with their steep rates they would’ve put more care and imagination into what they feed their passengers but no, same thing over and over again. AirAsia Philippines and Zest Air have recently joined forces to ensure a better travel experience for their clientele. The new alliance dubbed Air Asia Zest is now in Manila and promises unrivaled low fares and excellent service all year round. Part of what sets them apart from the rest is the introduction of the new Air Asia Zest Café which brings their passengers affordable “HotMeals” prepared by Manila Catering. HotMeals is the inflight menu of Air Asia Zest and it doesn’t only promise variety, they also deliver extremely good meals that are at par with some of Manila’s finest restaurants. My personal favorites would have to be the NasiLemak and Chocolate Chip cookies. Both are some of the best I have ever tried in my entire life and I often find myself craving for them which makes me hope for some sort of stand-alone café of Air Asia in Manila so I can get my fix even when I’m not travelling. They are really good. Something you shouldn’t miss out on whenever you fly Air Asia Zest. 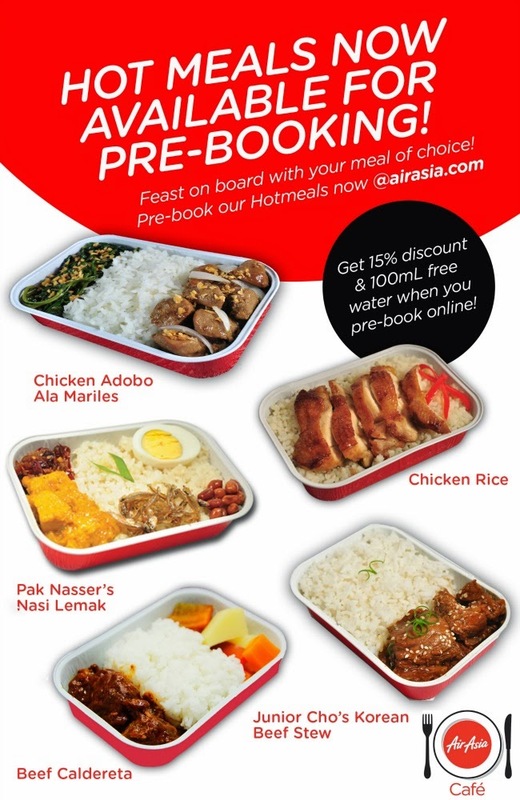 To save money, make sure to pre-book your Air Asia Zest Hotmeals at airasia.com via “Manage My Booking. Find AirAsiaZest at NAIA Terminal 4. It’s time to surrender to your wanderlust, fly in luxury without breaking the bank. For more info and updates on exciting promos and seat sales, connect with AirAsia Philippines on Facebook and Twitter. Air Asia Zest, The Right Way To Fly. Wow, that's a super friendly price range. Hope they open in Cebu, too!